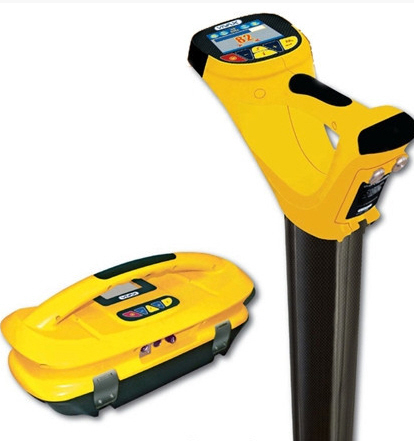 The vLocML is a multi-purpose locator with a factory installed option to locate the various buried “markers” used in our industry. The unit is recognizable by the carbon fiber collar near the base of the antenna tube. Other manufacturers use clumsy fold down antennas, or heavy internal ferrite antennas. The best solution is a permanently mounted lightweight carbon fiber encased antenna. The vLocML provides the choice of locating one type of marker only, or all markers simultaneously. One can also choose to look only for markers, or locate and search for markers at the same time.